HONOLULU --The state Board of Education calls the 2007-09 charter school budget an increase of more than $1,000 per pupil. But charter school advocates say the board actually cut the budget by removing all funding for facilities. The BOE was set to approve the spending plan Thursday night on the recommendation of the Committee on Budget and Fiscal Accountability. It next goes to the governor, who will use it when creating her own budget proposal to submit to the Legislature. Committee Chairman Garret Toguchi said the budget is a $20 million increase over the board's approved budget for fiscal year 2006-07. But said charter advocates said that figure is misleading because it doesn't take into account money the governor and Legislature added to the BOE budget for facilities for the schools. "This is going to create a crisis for charter schools for the next two years," said Maunalei Love, interim director of the Charter School Administrative Office. 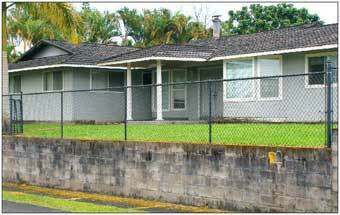 The charter schools will have to tap into their operating funds to pay their rent, not to mention any maintenance or upkeep that's required, said Hawaii Charter Schools Network President John Thatcher, principal of Innovations Public Charter School in downtown Hilo. "None of the other public schools in the state have to do that," Thatcher said. But Department of Education spokesman Greg Knudsen said more than half of all charter school students are in public facilities, which have other funding sources. "The charter schools have really made some tremendous gains in the past several years in terms of the level of their support," Knudsen said. The budget also provides for three new charter schools, in keeping with state law that allows a new charter school for every existing start-up charter school that receives a three-year or longer accreditation from the Western Association of Schools and Colleges or comparable accreditation authority. Love asked for $58.4 million for operating expenses for charter schools in fiscal year 2007-08 and $61.9 million for 2008-09. That comes out to $7,175 per student for next year, a 3.3-percent increase over the 2006-07 per-student funding. Instead, Love said, the BOE budget allocates $6,969 per student, or $29 more per student than this year. The startup schools -- those begun after 1999 -- will actually get $656 less per student, Love said. Currently, all 27 schools serve almost 6,000 students. "Give us enough to fund the schools. We don't want to worry about where the money is coming from to get by," Love said. "We want to be able to teach the kids."